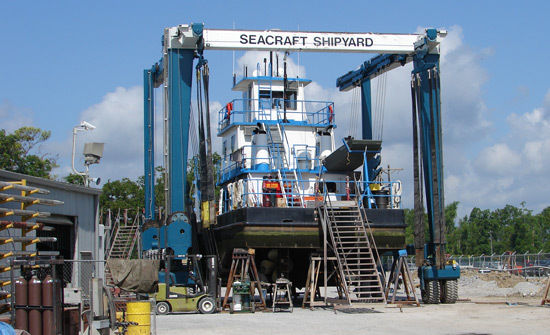 Seacraft Shipyard LLC is a 24 hour a day, 365 day a year full service shipyard with over 63 years of experience in repairing, re-powering, refurbishing, and converting all types of aluminum and steel vessels. 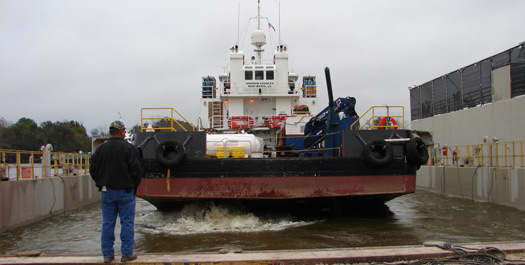 We do normal repairs and maintenance including USCG inspections, bent or broken propellers, shaft and rudders, broken or cracked struts, aluminum and steel repairs, piping, carpentry, electrical repairs, mechanical repairs, alignement, sandblasting and painting. Our vast experience along with in-house engineering, design and CAD drafting enables us to convert a vessel to your specifications, at considerable savings over new construction. Our vast experience with repairs and conversions make us uniquely qualified to handle many specialty constructions projects. With our unique position as a repair, conversion and construction facility, through the years we have developed a working relationship with many vessel operators who have an interest in selling or purchase vessels. A full service 24 - hours shipyard providing fast turnaround and quality worksmanship at competitive prices since 1955 specializing in repairs, conversions and construction of all types of aluminum and steel vessels.